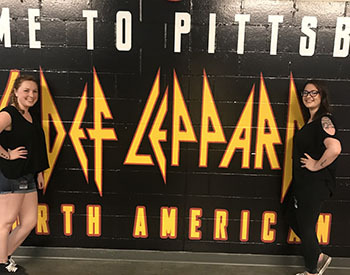 The first weekend of June was a busy concert weekend for Pittsburgh — and several students and alumni of the sports, arts and entertainment management program in the Rowland School of Business at Point Park University. 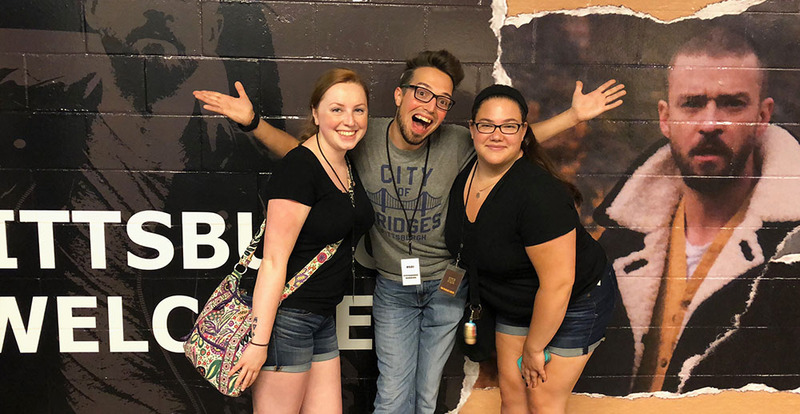 Samantha Exler ‘19, Jevin Fluegel ‘20 and Leah Sero ‘19 were production runners through Live Nation at the sold-out Justin Timberlake concert, while Amber Gordon ‘18 and Zach Siegfried ‘18 and Exler worked at the Def Leppard and Journey show and Angela Thomas ‘17 at the Kenny Chesney concert. 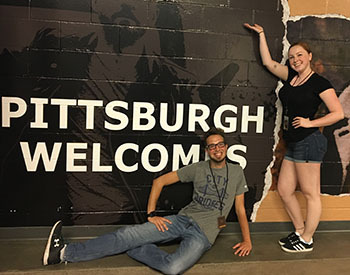 “This was one of the busiest concert weekends that I can ever remember in Pittsburgh and to have so many of our SAEM majors working at almost all of them in some capacity — whether as production runners or assisting with VIP experiences — was very exciting,” said Ed Traversari, M.B.A., SAEM associate professor and long-time Pittsburgh area concert promoter. Fluegel describes his experience working as a production runner for the first time at the Justin Timberlake concert as amazing. “I got to meet one of Justin Timberlake’s percussionists and ask him about his different experiences in the industry including performing at the Super Bowl. It was really cool getting to know a lot of different people,” said Fluegel, a transfer student who graduated from Union-Endicott High School in Endicott, N.Y.
“I loved that I got to learn so much about production running. I will continue to take any opportunities offered to me because you never know where it will lead you,” Fluegel added. As a VIP assistant at the Def Leppard and Journey concert, Gordon helped turn a conference room into a Journey VIP Reception Lounge. “I also ran the photo booth and assisted with checking in guests. It was exciting being asked if I’d like to stay for the show since this is not always a guarantee. It was a great perk and the show was incredible!” said Gordon, a graduate of Altoona Area High School. The SAEM faculty frequently connect students to various hands-on opportunities working at concerts, events and shows in Pittsburgh. Last month, SAEM students and alumni worked with legendary actress Carol Burnett for her show at Heinz Hall.